At Braxton, a garage is more than a garage. It’s a place where we build our hopes and dreams, storing them on the wall neat as garden tools. Really, the garage is a hub. A reliable place from which we launch into the world, and enjoy a safe return. We hang out in our garages. Saturday mornings, afternoons, long into the night. Sometimes hosting neighbors, family and friends, other times in blissful solitude, tinkering on projects, obsessing over a problem or making something great. Think of the garages in your past. You’ll remember your dad fishing a lawnmower or building a table, where he taught you to say “Yes, sir.” You can almost smell the oil and beer. But more and more the family garage is an incubator, an enterprise zone. It’s part of the beautiful renaissance happening in the middle of this great country. So it was for Evan Rouse. Evan, from Union, Kentucky, was a pretty extraordinary kid. Because while other kids played video games and started garage bands, Evan fell in love with the craft of brewing beer. And he built a home brewery in the family garage. He was just 16 years old, not even of age. For Evan, brewing beer was more than an idea, it was a revolution. Because from that humble start, Evan’s love for brewing has become his entrepreneurial obsession. He’s building the brewery of his dreams. And his entire family is on board, helping him get it done. (The truth is, it’s a pretty extraordinary family.) 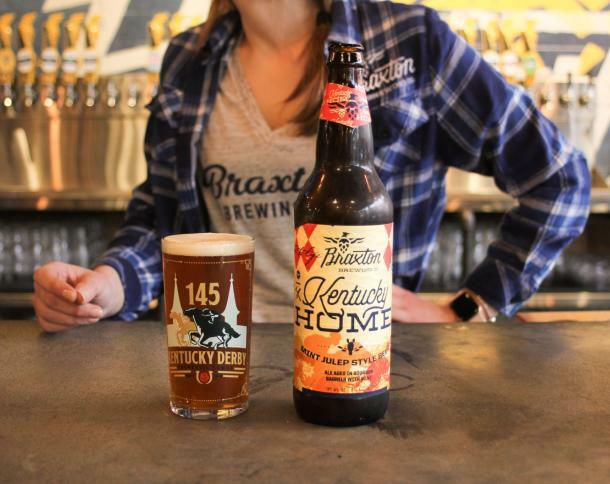 So welcome to Braxton Brewing Company. You’re witnessing a dream coming to life. A place where ideas are born and fermented. It’s a great deal of work, but hell, that’s what makes a dream worth pursuing. This brewery celebrates determination, knowledge, and the humble pride we wave like a battle flag.